The ZP900 is a highly accurate postal scale designed to meet a variety of customer requirements. This Avery Weigh-Tronix postal scale will display and transmit data, integrate with back office and POS systems and give you the flexibility you need to manage vital weight data within your operation. The selection of sizes, capacities and display options make the ZP900 a flexible weighing solution. The Avery Weigh-Tronix ZP900 is a highly accurate postal scale specifically designed to meet a variety of customer requirements. 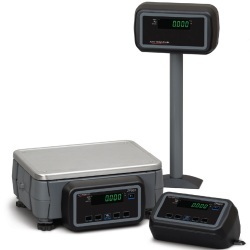 This high speed, high performance postal scale, available from Avery Weigh-Tronix authorized distributor Central Carolina Scale, will display and transmit data, integrate with back office and POS systems and give you the flexibility you need to manage vital weight data within your operation. The high quality Avery Weigh-Tronix Quartzell® design enables the ZP900 to accurately weigh any item, from small letters to 150 lb/80 kg parcels on a single scale. The selection of sizes, capacities and display options make the ZP900 a flexible weighing solution. The ZP900 is available in two main sizes: 9 in x 12 in (230 mm x 305 mm) and 12 in x 14in (305 mm x 355 mm). With counter space at a premium the ZP900 has been specially designed with a small footprint. The ability to allow one scale to be shared between two or more operator terminals also reduces the need for counter space, while increasing customer throughput. The half inch / 13 mm weight display uses Improved Black Nematic (IBN) technology, which provides a high contrast, high quality green on black display. This technology provides exceptional contrast ratio and a wide viewing angle, making it easy to read in a variety of lighting conditions. The ZP900 can communicate using a wide range of channel options such as RS232, USB or Ethernet. Ethernet connectivity is standard, enabling simple integration with software and providing a wealth of opportunities for the customer. It can also be used as a local or remote diagnostic port. As well as being future-proof, the ZP900 ensures backward compatibility with a range of standard postal protocols, such as NCI1 & NCI2, D904 and SMA as well as older scale models such as the FX141, NCI 7600 and NCI 7800. Due to the required optional variance within this product, the below part numbers are configurator options only. Please choose one option from each section. 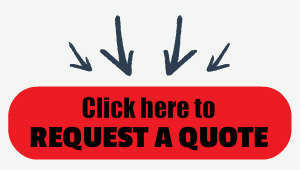 For PC lead requirements please refer to the option section below. *When ordering an activation code for turning on either the USB or Ethernet ports, the order must be accompanied with the scale serial number and Mac address, this can be found within the 111 of the scale menu.